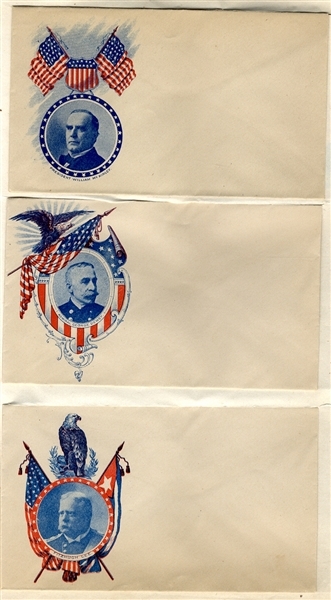 A collection of 23 Span-Am patriotic covers each affixed to album pages which are separate pages. Unique within this group are eleven images of commanders displayed with a patriotic badge. These include Colonel Roosevelt, President McKinley, Richard Hobson and others.